Mike Crowley wrote all about it in 2009, and I covered it in Friday’s inaugural “Newtisms,” but the Gingrich surge has gotten reporters to perk back up about one of the speaker’s obsessions: A possible electro-magnetic pulse attack that would fry electronics and cripple America. (The NYT gave it A1 treatment, as if some dark secret from Gingrich’s past had been revealed, as opposed something he constantly talks about.) 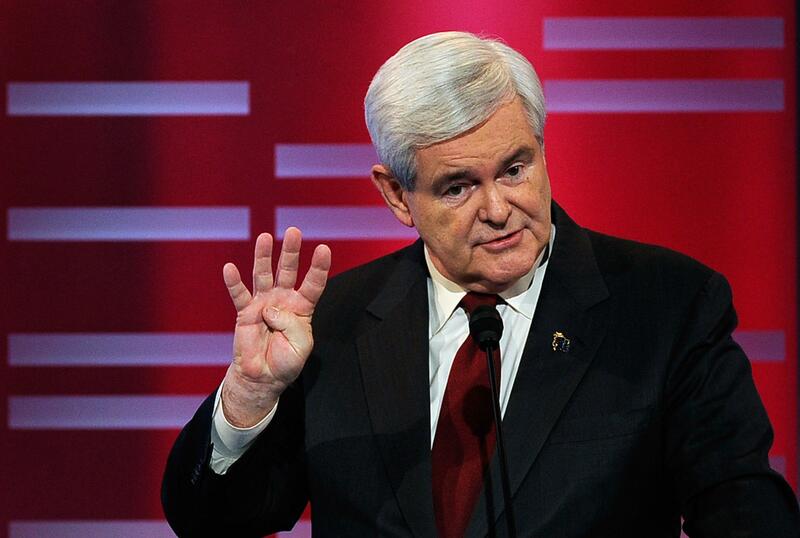 Alex Seitz-Wald makes a listicle out of Gingrich’s “top 5 sci-fi policy proposals,” which do sound hilarious. Space mirrors! Space lasers! Hari Seldon’s psychohistory. The first part of that paragraph nearly negates the second party. Gingrich, currently, is pitching for voters who believe 1) that America has grown too weak, 2) that Barack Obama is largely responsible, and that 3) there are scary threats on the horizon, just as there were in August 2001, and most leaders can’t predict them. And here comes a candidate telling dark future histories that feckless politicians have put on the horizon – he can stop them. It reminds me of what Drew Westen said about Barack Obama over the summer, describing why he seemed to be failing. Americans needed their president to tell them a story that made sense of what they had just been through, what caused it, and how it was going to end. They needed to hear that he understood what they were feeling, that he would track down those responsible for their pain and suffering, and that he would restore order and safety. Some of Gingrich’s riffs about future war and video games that can save us are going to be clunkers. But the theory behind the riffing is sound.